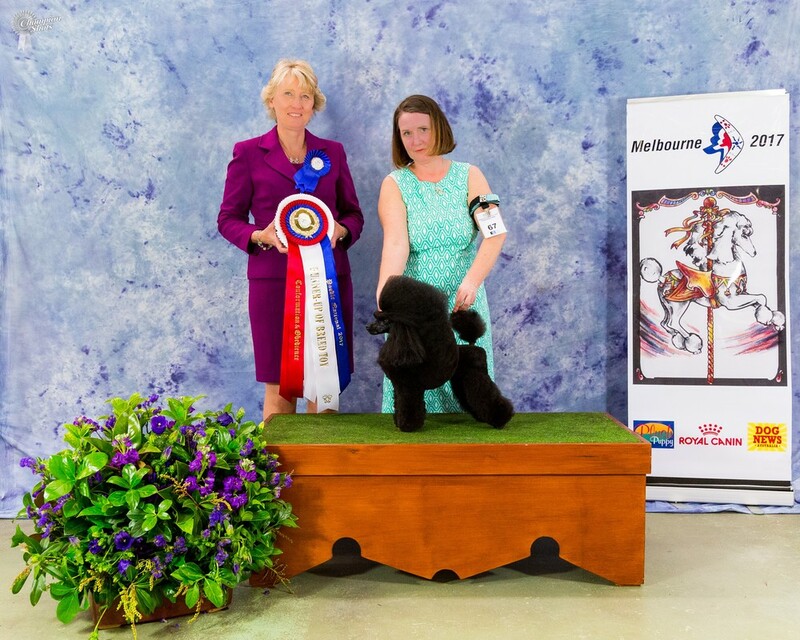 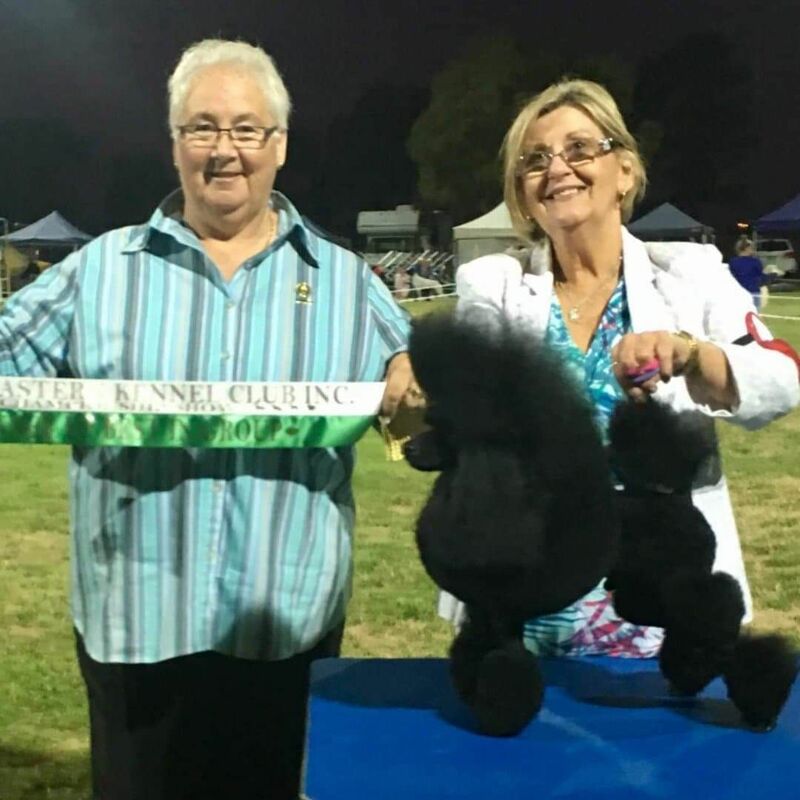 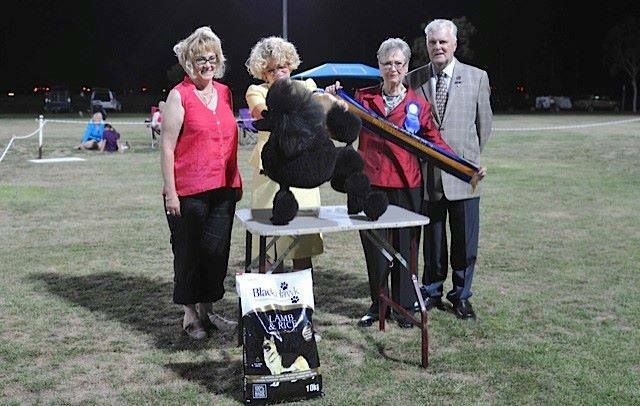 The Bonheur Trophy - The Poodle Club of Victoria Inc.
Every year the Poodle Club of Victoria awards the Bonheur Trophy in recognition of the top winning Poodle & the top winning puppy. 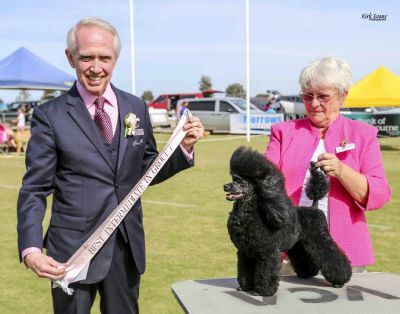 These two beautiful, perpetual trophies are named in memory of Moira & Bonnie Muir (Bonheur Miniature Poodles) - a former club president & great lady of the breed. 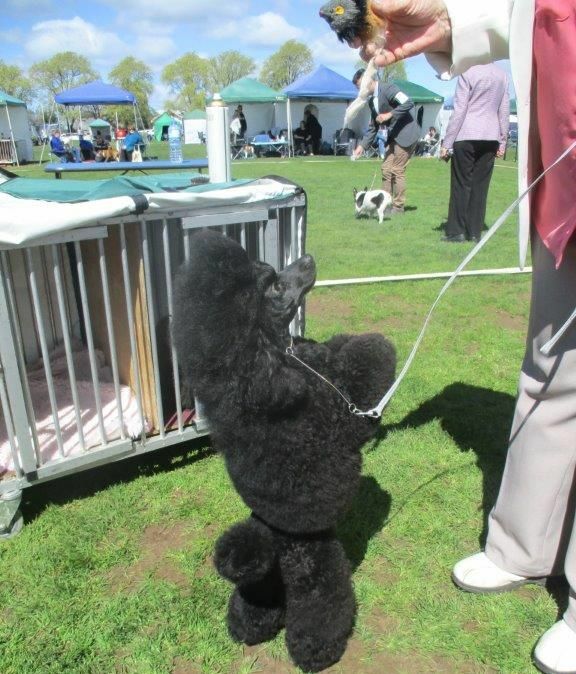 Lenholl D'Ikar at Michandy (RUS) x UK CH Michandy Sixth Sense - owned by Mrs Jennifer Sculac & handled by Miss Caron Missen. 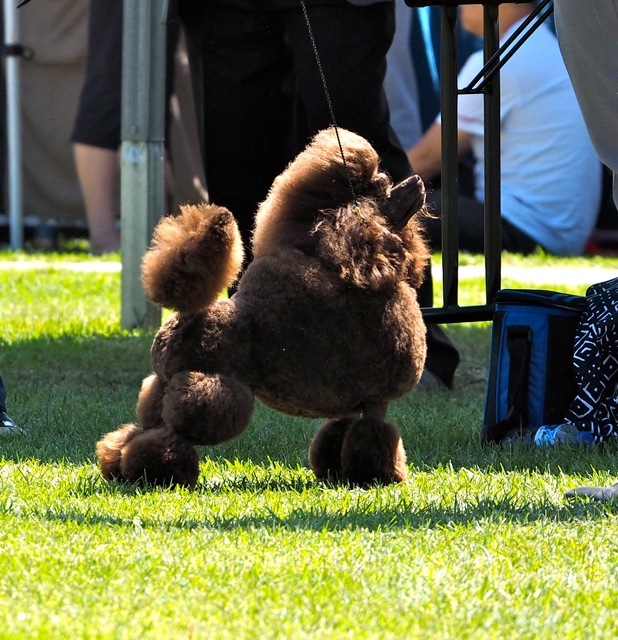 Strip (UK) x AM & AUST CH Paradigm's Hot Lips (USA) - owned by Mrs Helen Turner.